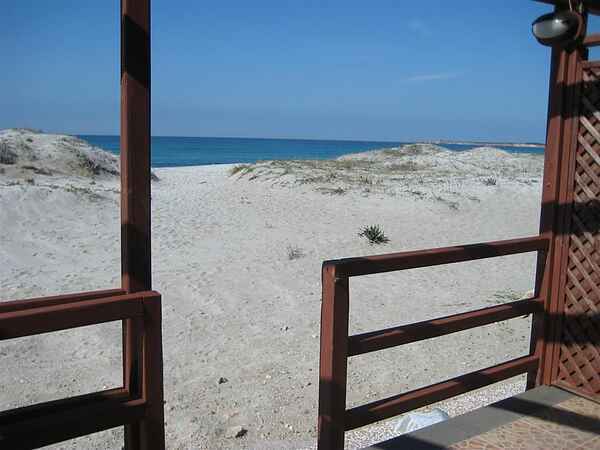 House in S. Giovanni di sinis with terrace facing the sea. The house has 6 places, 2 doubles, 2 doubles, 2 bathrooms, kitchen, spacious living room, washing machine, oven. This house has a fantastic terrace on the beach.